Google Daydream VR Headset, New Model on the Way? 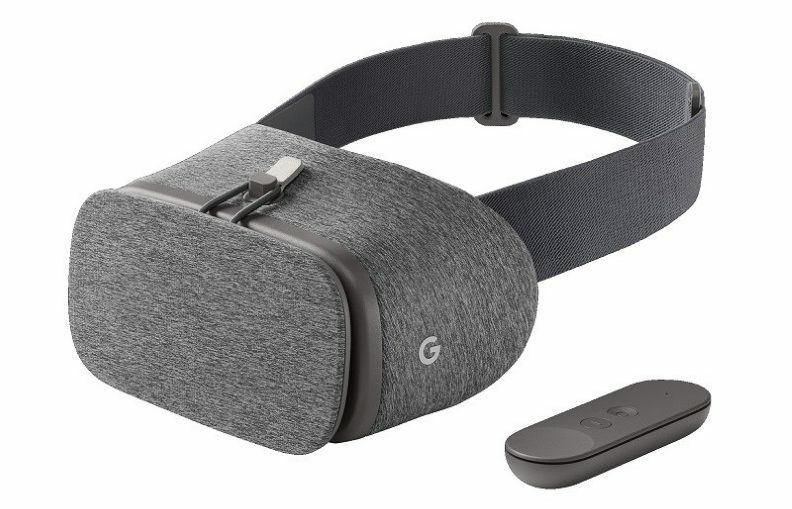 Google’s Daydream View headset got a big price cut this week, courtesy of Verizon: The telco is selling the headset for 50% off, or just $39.99, on its website. This is the cheapest Daydream View has ever been, making one wonder whether a new version may be on its way. Daydream View comes with a soft-cloth VR viewer that holds compatible mobile phones, as well as a wireless controller to navigate through VR menus and play games. The headset is still being sold at full price elsewhere, including Google’s own online store. The company first introduced its Daydream View headset a year ago for the price of $79.99. The headset initially just worked with the company’s Pixel phones, but now also works with a handful of models from other manufacturers. Most notably, Samsung added support for Daydream to its Galaxy S8 and Galaxy S8 Plus phones earlier this summer. Google announced at its Google I/O developer conference in May that it had teamed up with HTC and Lenovo to build Daydream-branded standalone VR headsets that will run independently of a phone. It’s unlikely that the company would also introduce a major overhaul of the mobile Daydream platform any time soon. That being said, it’s always possible that Google might decide to slightly tweak the headset. Aside from the controller and a NFC chip in the headset itself, Daydream View doesn’t include any complicated technology, so Google could conceivably update the headset and still keep it compatible with existing versions. Samsung, for instance, has updated its Gear VR headset multiple times since first releasing it in late 2015. This article was originally published by VARIETY.